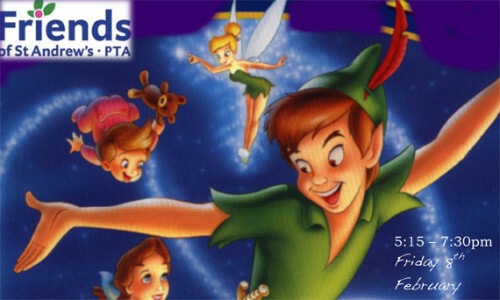 This Friday (8th) St Andrew’s Friends (PTA) are organising a “Fairy Dust” Pot Luck Supper in the School Hall from 5.15 – 7.30pm. Bring a dish or 2 to share – there will be a cash bar – the film Peter Pan will be screened. Suggested donation of £3 per person (children 3yrs and under are free – all children must be supervised at all times). Money raised will be going to the School. These events are AMAZING – make sure you don’t miss it!